Video: I Jahman Levi live 2016. 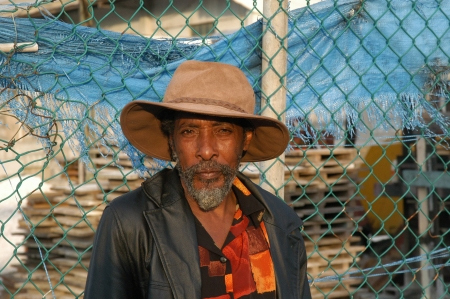 Ijahman Levi was born in the cool hills of Christiana, in Manchester, Jamaica, on June 1946 and named Trevor Sutherland. In 1962 his family took up residence in England on the eve of Jamaica's independence. In 1975 Ijahman made his 'anthem' song 'Jah Heavy Load' and in 1977 Ijahman went to Jamaica in search of a producer and found the late Mr. Geoffrey Chung and together they produced two of Ijahman's most famous albums 'Haile I Hymn' and 'Are We A Warrior' released in 1978 and 1979 on the Island label and internationally acclaimed. Ijahman then set up his own recording company 'Tree Roots Record International' and in 1985 he produced the hit single 'I Do' with his wife and duet partner Madge which reached number one status on the British Reggae chart for six weeks running. To date, Ijahman has 28 albums to his credit and his vocal delivery is still strong after all these years ! !